My oldest daughter didn’t get her own cell phone until she was 16 and had a summer job. We were the strict parents, holding out on getting our kids a cell phone or a tablet until WE needed them to have a device to communicate with US. 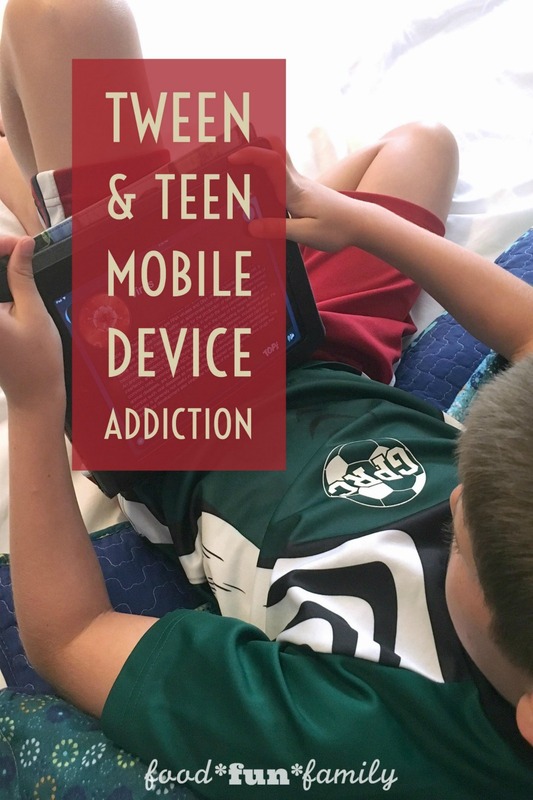 We knew that once we put a cell phone in the hands of our teens or tweens, we were opening our family up a ton of issues like too much screen time, inappropriate use, isolation and distraction from family time….the list goes on and on. The older our kids have gotten and the more devices we now have in the house, the harder it’s been to keep control of everyone’s screen time. Just last week, at the beginning of our family’s summer break from school, we sat down with the kids and made a summer device time schedule. Each kid gets a specific block of time during the day and at night to get on a device. I’m sure my kids are not the only ones that would sit around all summer long watching YouTube videos or playing games ALL DAY, every day if there were no rules set. And guess what? It’s OK to set rules and limitations for device use! Those of you who are parents of teens or tweens will probably relate with me here: 16 hours is a LONG time to keep older kids occupied. We try to keep the kids active – and things like swim team certainly help – but since I still have to work during the summer, I can’t be carting them from one activity to the other all season long. Not to mention the fact that teen activities tend to be pricey! It really IS a problem! According to this CNN Story, “Half of teens think they’re addicted to their smartphones.” A new poll (conducted for Common Sense Media, a nonprofit focused on helping children, parents, teachers and policymakers negotiate media and technology) confirms just how much teens depend on their phones. The poll involved 1,240 interviews with parents and their children, ages 12 to 18. 59% of the parents interviewed said their teens were addicted. Fifty percent of teens feel they suffer from cell phone addiction. According to NBC News, teens spend nine hours a day in front of screens and children ages 8-12 spend six hours. How do your kids stack up? This past week, as we discussed how we could make screen time a more positive thing at home (ie, something that’s fun and positive instead of something that’s draining and addicting), we introduced the kids to TOPs Balance. 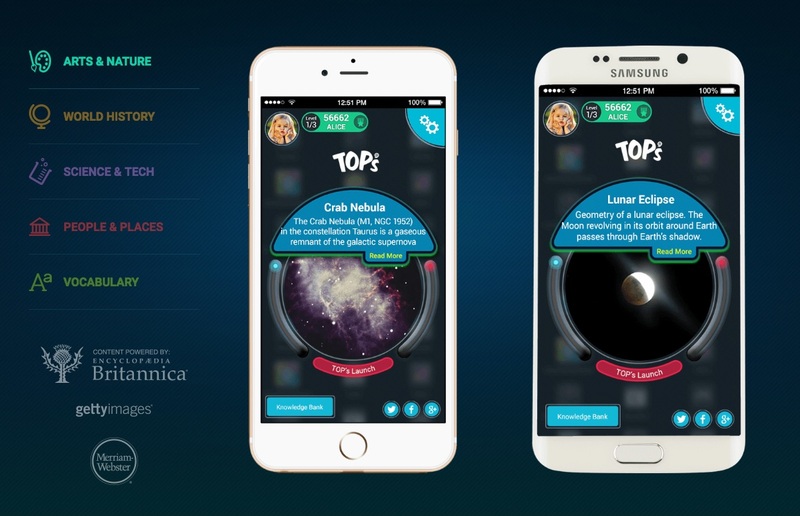 TOPs Balance is an app, available for iOS and Android that balances mobile device overuse with bursts of knowledge delivered throughout the day, every time a user seeks to unlock their device. They’ve got a database of over 50,000 knowledge bursts and kids must engage with the knowledge burst to get access to the device. I installed the TOPs Balance app on my iPad, because that is the device that the kids use most often. 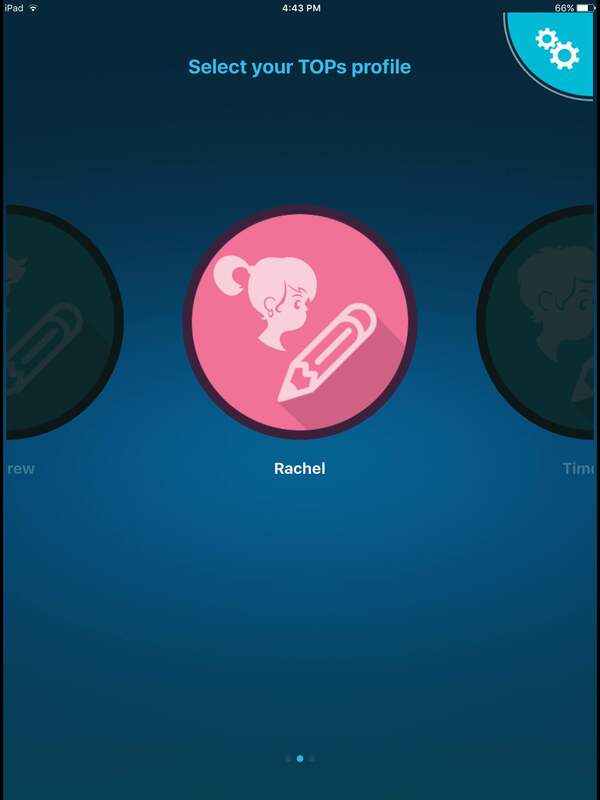 I created profiles for my 3 youngest kids (going in to 6th grade, 8th grade, and 10th grade). My FAVORITE thing as a mom about TOPs Balance is that I can see how much each child has interacted with the TOPs knowledge bursts and how much time they’ve spent on the device all day. When my kids pick up my iPad to play, they swipe to open with the TOPs Balance prompt and choose their user profile. Easy peasy! The new TOPs unlock method has effectively reimagined a mobile device as a powerful and effortless knowledge delivery system. 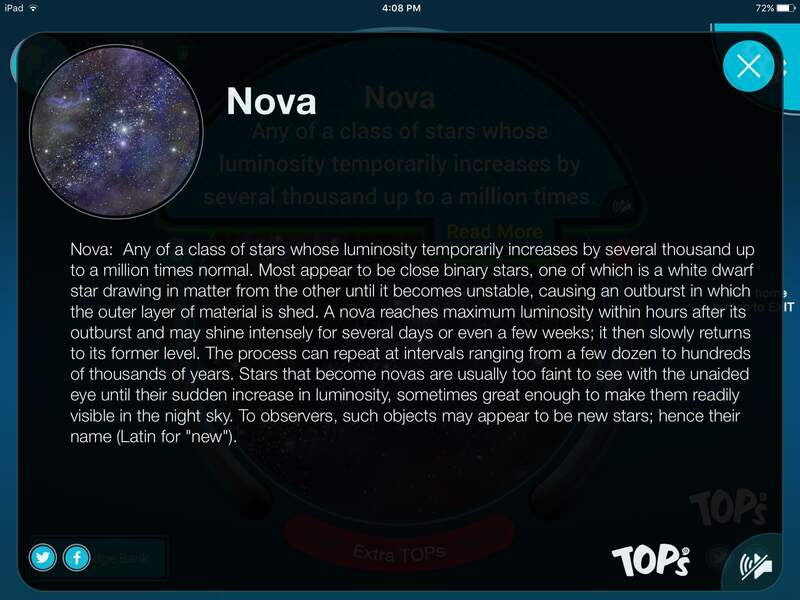 Whenever the user reaches for a device, TOPs delivers a “Knowledge Burst” — a 10-second infusion of grade-specific educational content — prior to launching the users’ home screen. 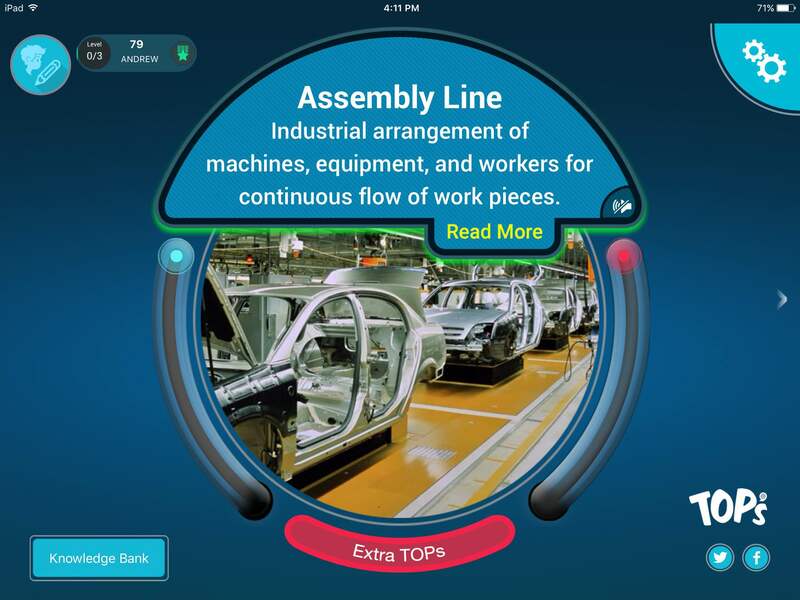 “Knowledge bursts” include moments in history to vocabulary and science, all combined with dramatic imagery and drawn from partnerships with content leaders such as Encyclopedia Britannica, Merriam Webster and Getty Images. The iOS version of TOPs also features an “audio read” function. Parents and users first customize the intensity of learning by selecting either optional or mandatory delivery of Knowledge Bursts. Then, users are prompted with Knowledge Bursts at every device unlock, thereby balancing their mobile device overuse. The optional delivery method (low intensity) gives the user a unique prompt or persuasive option for a 10-second Knowledge Burst at every unlock screen. The mandatory delivery method (high intensity) is a more dedicated balance strategy and requires the completion of a 10-second Knowledge Burst at every unlock prior to gaining access to the home screen. 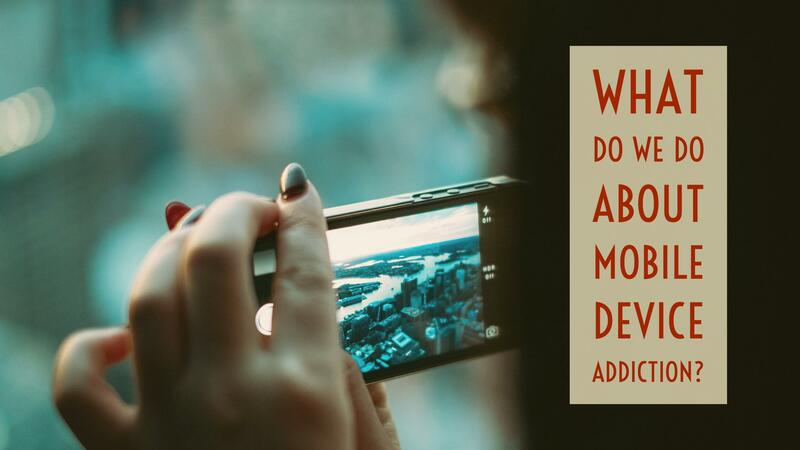 How do you balance your kids screen time and combat technology addiction? Gone are the days where children are playing outside! I think my grandsons spend too much time on their ipads. Yep. I agree! Luckily, my youngest (11 y/o) still spends a ton of time outside. He’s got a good set of friends in the neighborhood. However, it’s just so easy for kids to get stuck in the screen-rut. We are not addicted to cell phones. They need to be put down and enjoy life more. There are so many other things to do than sit with a cell phone all day. Reading, outdoor activities are better than sitting with devices all day!